OK, OK, OK—we know there are many more important things for state legislators to be doing. But they did it anyway. 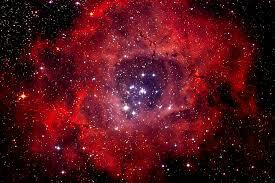 They passed a bill designating the Rosette Nebula as Oklahoma’s astronomical object. All it needs is the governor’s signature. House Bill 1292 passed the Senate on a 31-12 vote. Rep. Nicole Miller, a Republican from Edmond authored the bill which names the Rosette Nebula in the Monoceros constellation as the official astronomical object of the state.